I’ve always LOVED school and when I was a little girl “show and tell” was the ultimate! I especially loved “show and tell” right after Christmas and my birthday. Here’s the beginning of my grow-up version – self-indulgence at it’s best! I received so many lovely and thoughtful gifts for my birthday a few weeks ago. 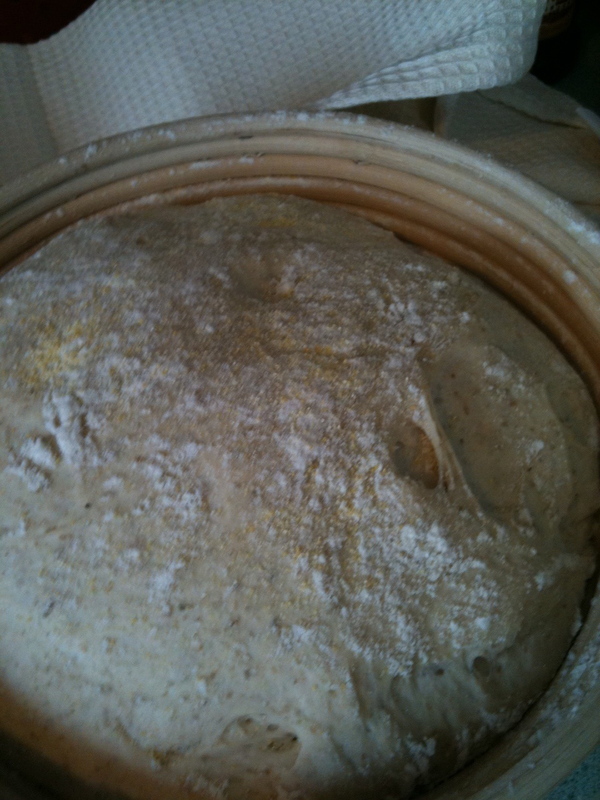 Two summers ago, I set out to really learn and understand yeast-based baking. I’d baked before, but I really wanted something more like a class. 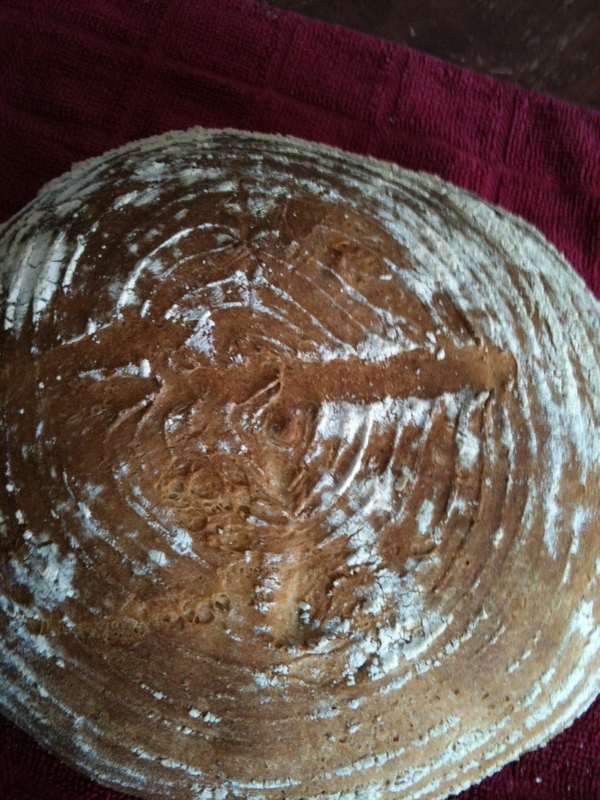 So, I checked out many, many books from the local library (and order others) on bread baking. 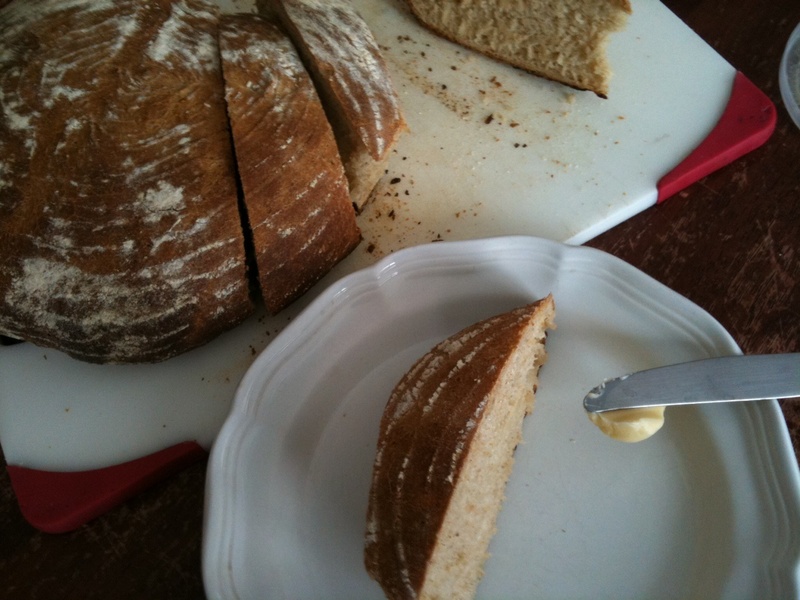 Some titles I read included The Bread Makers Apprentice, Crust and Crumb and Peter Reinhart’s Whole Grain Breads. I read these books cover-to-cover and tried many new techniques and recipes (Poolish and Biga bread starters). My head ached from all the new information, but I loved the journey. 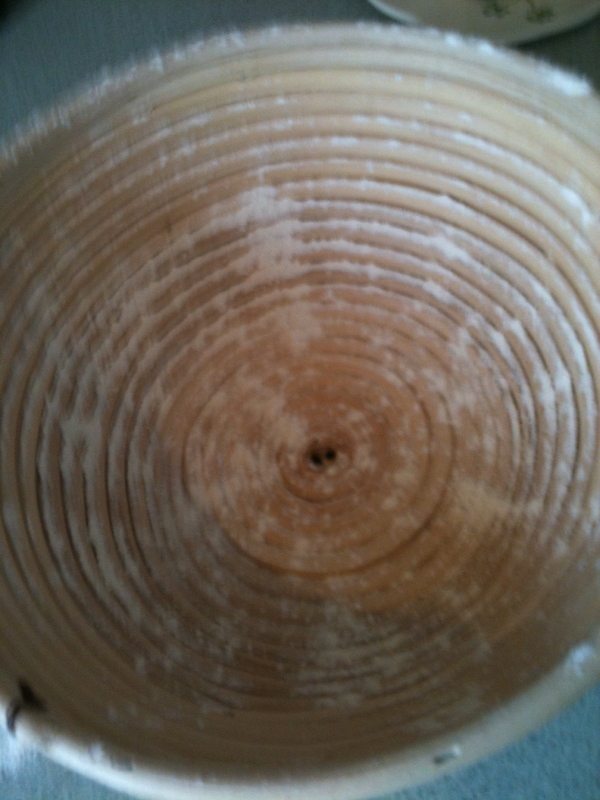 In my study, I discovered the beauty and usefulness of bread proofing bowls. Well, guess what I got for my birthday this year? Yes, a Brotform Proofing Basket!! Love it and I used it as soon as I could…. Not a great pix – but isn’t it just lovely? Looks beautiful and tastes yummy!